We’ve got a packed weekend of fights! 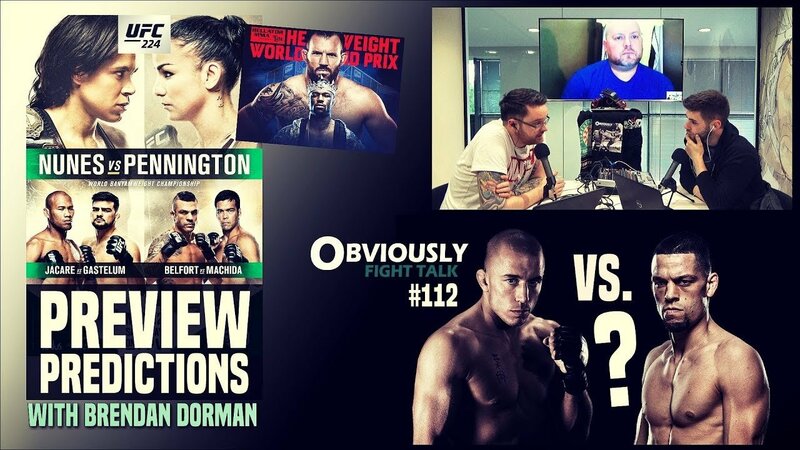 We preview UFC 224 with Brendan Dorman where we breakdown the main card and give out predictions; we also look ahead at Bellator 199 and BAMMA 35. All that plus much more as we give our take on all the big MMA news of the week, including the our reaction to the rumoured Georges St-Pierre vs. Nate Diaz fight; UFC’s new streaming deal with Disney-ESPN, Zabit Magomedsharpiv vs. Yair Rodriguez apparently almost set, and more.